Drop-in Lacrosse Night is back by popular demand!!! Ok... there were a couple of guys asking about it... but we are going to open up the small floor Wed nights from 8-9pm for drop-in lacrosse. No experience necessary. Cost: $5/session. Goalies are free. The Drop-in Lacrosse Night will give participants an opportunity to play lacrosse in a fun, non-contact format and is open to all skill levels. Participants should bring both a light and dark coloured shirt to split up teams. 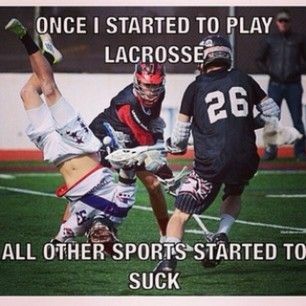 **Stick, gloves and a helmet with a full cage are mandatory for the Drop-in Lacrosse Night. Jock or jill is highly recommended. No other equipment is required. Please feel free to pass this information along to anyone that may be interested in playing drop-in lacrosse.